Maksim's background is in software development. Specifically, he likes getting systems to talk to each other. When he became the first CDO in the City's new Performance and Analytics department, he quickly realized that the job wasn't just a technology puzzle to solve. A city is a diverse enterprise with a variety of silos, data systems, personalities or departments. Technology is only a piece of what facilitates the work of a CDO. When used effectively, it can create enormous leverage to open doors for quick wins, strategy implementation, and culture change. Deciding the best tool for the job can be overwhelming. We are faced with a wide technology landscape, from vendors who are eager to show us their latest solution to the variety of open source products available. In his talk, Maksim will provide a high level overview of the variety of technologies available to the modern day CDO. He will address how his team uses technology to meet tight policy timelines, achieve strategic objectives, and build a new data mindset in an old organization. 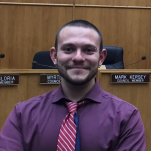 As the CDO for the City of San Diego, working in the Performance & Analytics Department, Maksim strives to bring the necessary components together to allow the City’s residents to benefit from a more efficient, agile government that is as innovative as the community around it. He has been solving complex problems with technology for nearly a decade. He spent 2014 working as a Code For America fellow in Puerto Rico with a focus on economic development. His team delivered a product called PrimerPeso that provides business owners and residents a tool to search, and apply for, government programs for which they may be eligible. Before moving to California, Maksim was a Solutions Architect at Promet Source in Chicago where he built large web applications and designed complex integrations. He shaped workflow, configuration management and continuous integration processes, while leading and training international development teams. Before his work at Promet, he was a software engineer at AllPlayers, who was instrumental in the design and architecture of the company’s APIs as well as development and documentation of supporting client libraries in various languages.